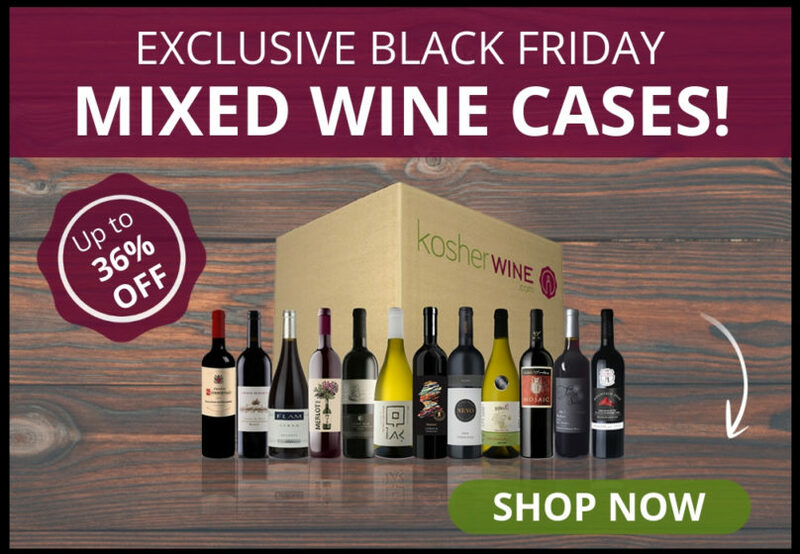 KosherWine.com Black Friday Flash Sales + Mixed Wine Cases Up To 36% Off For Kosher Guru Readers + Win A Free Wine Tasting Trip To Israel! It’s Black Friday: Shop our FLASH Sales TODAY ONLY at http://bit.ly/2AI5cUR! NEW Black Friday Mixed Cases. Choose from four different options, up to 36% off! Cases always ship free. Festa D’Estate Mixed Case BOGO – Buy 1 Case, Get 1 FREE! Use code BFBOGO at http://bit.ly/2SaA3NP. NEW Exclusive French imports – up to 26% off! Shop at http://bit.ly/2S5Sq6n. 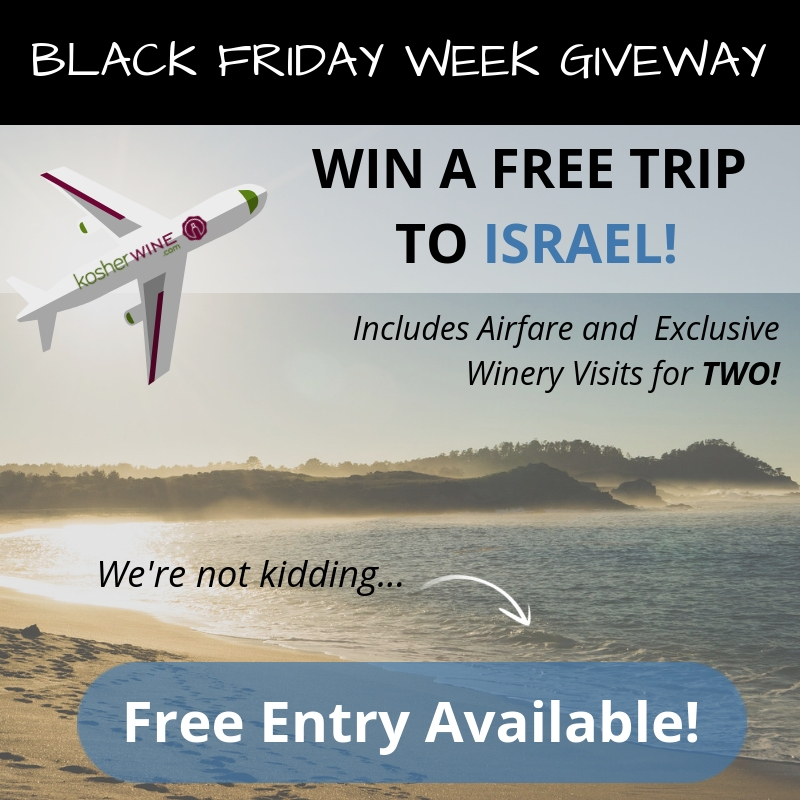 You can also WIN a Free Wine Tasting Trip to Israel for two PLUS exclusive wine tastings and tours with top Israeli wineries! 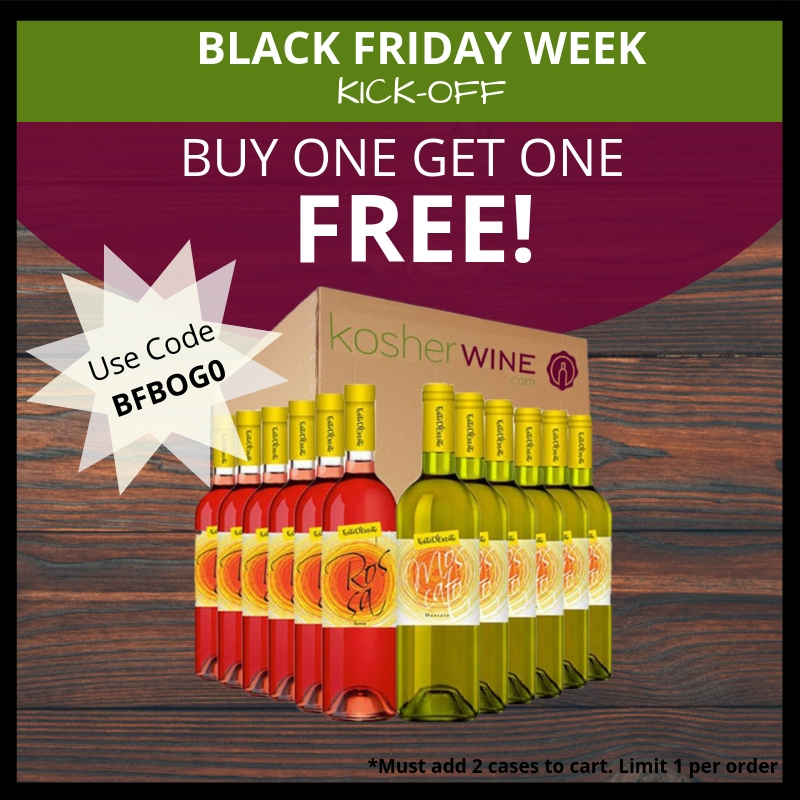 For EVERY $100 you spend at KosherWine.com from November 18th – November 26th, 2018, you will receive ONE entry into the giveaway. More info at http://bit.ly/2DSx0GJ. Sign up for our emails to get your first entry FREE: http://bit.ly/2Q9QQ6d! 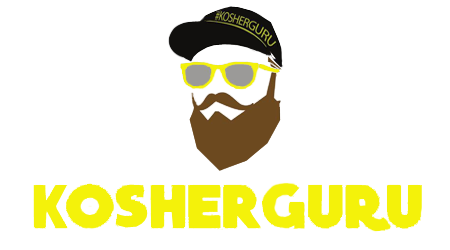 Code KOSHERGURU for $15 off $200 or more.